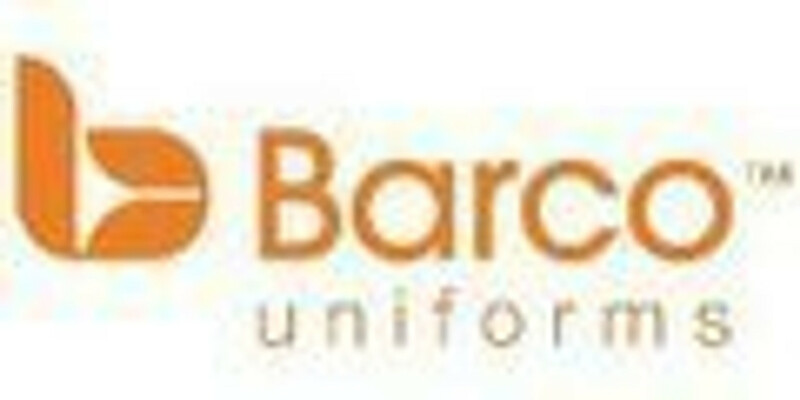 Barco Uniforms men's and women's scrubs and lab coats are a great addition to any healthcare professionals medical uniform wardrobe. Now with arctech™, a groundbreaking, proprietary fabric technology. Designed for the "healthcare athlete," arctech fabric features advanced technical qualities that deliver 5-points of performance including eco-friendly recycled fabric, 4-way stretch, soil release, moisture-wicking and wrinkle resistance. Each Barco scrub is made from 10 recycled plastic bottles. The Barco brand is for healthcare professionals who share one common heart, one purpose and one lifelong dedication to healing. Browse, shop, or just hang out - its all good when you're shopping with Jen's Scrubs, the healthcare professionals online scrub store. Fast shipping and no hassle returns and exchanges. Looking for classic, durable scrubs that deliver the comfort you crave along with the durability you demand? If so, you'll love Barco One scrubs and Lab Coats. With their no-nonsense styling, these premium-quality scrubs scream "Trust me, I'm a professional" no matter where you work. Common-sense features like extra pockets on the scrub pants and four-way stretch fabrics mean you'll be ready for whatever comes through your door - and you won't be walking around with saggy pants either. And because Barco One scrubs are made from wrinkle-resistant, eco-friendly fabric that uses 10 recycled plastic bottles in every item, you can stay on top of your game while doing your part to save the planet. Pretty Awesome, right? When you need to dress like the head surgeon on a student budget, Barco's ICU scrubs are the perfect prescription. At these prices, you can finally stop stealing scrubs from the laundry room and level-up to your own set of quality scrubs designed to fit you and your budget. Featuring Barco's own arcRelease fabric that makes cleaning up nasty stains a breeze, these easy-to-wear lightweight lab coats, scrub pants, and scrub tops won't leave you all hot and bothered like other economy scrub brands can. Sizes range from petite to plus, because let's face it - we've all seen how well those one-size-fits-all hospital gowns work, haven't we? Available in a wide variety of colors along with the essential basic white, the Barco ICU line-up includes a great assortment of affordable, long-lasting choices like lab coats for men and women, unisex cargo scrub pants. This lineup of Barco scrubs even includes those tough-to-find men's zip front scrub pants for guys who want a tidy, tailored look while on duty. A Barco lab coat instantly transforms any outfit into a uniform, and not just any uniform either. Toss on a lab coat by Barco and you'll suddenly stand taller, command respect, and ooze confidence out of every single pore. Ok, while putting on a crisp white lab coat might not give you super-human powers (or make your patients any easier to deal with) it will protect your clothes against all those things you'd rather not bring home from your workplace. Barco lab coats are designed to elevate your image without compromising on performance. Available in unisex styles as well as cuts designed specifically for both men and women, these top-quality scrub coats come in different lengths ranging from short blazer-style to coats that extend well below your waistline. Features include secure inside pockets, soil-release fabrics, and sleeve lengths designed to stay out of your way, while sizes range from XS to 5XL.